Best Japanese Rice Cookers: Do They Worth Buying? 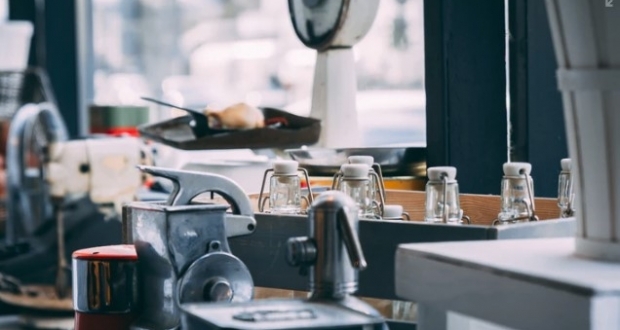 Modern technology has brought a great change in the cooking process. Now we are trying to make the cooking process quicker and easier. Rice is an age-old food item of humans which is still popular in present time and will be to the next. Rice cookers are very helpful to make the cooking process easier and quicker. But when you have the best Japanese rice cooker at you home it’s easy to get restaurant quality cooked rice easily. You will find a lot of rice cookers out there. But unfortunately, most of them are useless. To help you on this issue I’m going to talk about some of the Japanese rice cookers for the next couple of moments. But before going to that section I have written a short note on the key points of these rice cookers. To be the high quality Japanese rice cooker it should meet the following criteria’s. Firstly the cooking pot should be made of aluminum. Because aluminum is a good conductor of heat. Consequently, this is non-toxic metal. Furthermore, it should have a Teflon surface protection coating on it. This will make the cooker be non-sticky. This helps to pull out the rice easily as well as makes the cleaning process easier. Then it comes to the control panel. Most of the modern cooker contains an electronic LED panel for showing readings. The more cooking functionality it provides the more good the cooker is. 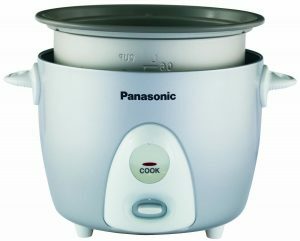 The best Japanese rice cooker allows you to cook various recipes. They are not only compatible for rice cooking but also you can cook other dishes. Furthermore, some of them allow you to cook meats, fishes, and vegetables. So for multiple uses check this before you buy. Electric cookers consume more power than most other electronic components. Therefore, you should be aware of the electronic power rating of the cooker. Up to 300 watts is okay for family type cooker. The slow cooking process is necessary for some delicious recipes. This also preserves the nutrition value of the food. Furthermore, you should go for a spherical shape cooker pot. Because this uniformly transmits the heat that makes the perfect rice. When you need restaurant-quality rice at home; the best solution can be the top Japanese rice cooker. 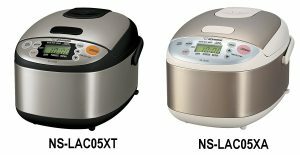 Zojirushi NS-LAC05XT is one of the best cookers of the Japanese rice cooker family with multi-functionality. Let’s have a closer look. This cooker serves you a perfect amount of 6 cups cooked rice from just 3 cups of raw short grain white rice. But this may vary to the other grains. This will be a perfect cooker for the family having three to four members. For multi purpose use, this cooker is one of the best. You can use this cooker not only for the traditional rice cooking but also for mixed, sushi, porridge, Brown, and quick cooking. In addition, you can also use this cooker as a rice warmer and a steamer. Some of the best functionality are integrated with this cooker that made this more user-friendly than other rice cookers. The spherical inner cooking pan is made with aluminum and holds a coating of Teflon surface protector. As a result, the rice will never get stuck with the cooking pan. This kind of shape also makes the cooking process quicker. It’s featured with some of the modern technology such as an auto timer, LED control panel, delay timer, reheating cycle. 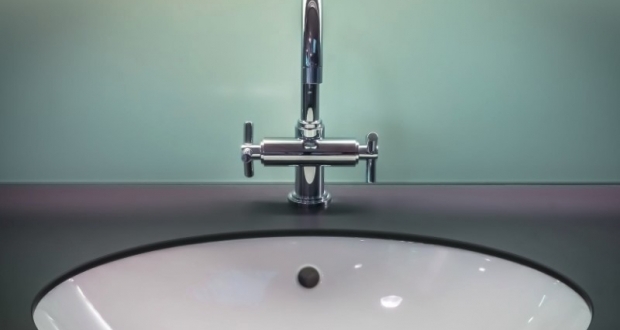 The detachable pan allows you to clean this more easily and efficiently. The necessary accessories are included with this cooker such as the measuring cup, non-sticky rice spatula, a spatula holder. 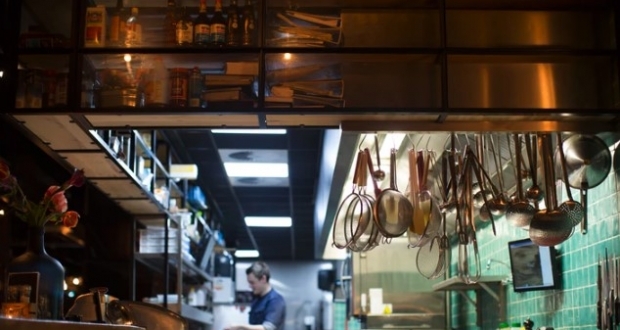 Despite all of this small footprint takes up a minimal counter space. Can cook different type of rice. Usable for other kitchen purposes. For the ease of use timer and delay timer is added. Teflon coated aluminum cooking pan. The upper lid isn’t well designed. The electric cord loosens after a couple of months. From the above discussion, we have found that this cooker has some cons. But compared to the pros they are negligible if you use this cooker with a little care. So if you really need a quality rice cooker, you can pick this one up without any hesitation here. Tiger JAX-T10U-K is one of the quickest rice cookers of this time. Besides it also offers slow cooking process. Ten different cooking mode has made this cooker a perfect one. Let’s have a deep drive. Tiger JAX-T10U-K can serve you 5.5 cup of super fresh cooked rice in each cooking. Measuring this quantity this will be enough for a family having up to three members. This cooker uses a microcomputer control system for better performance. Consequently, this is also a goof rice warmer. The “tacook” Synchronic cooking function has added a new dimension to the user friendliness of this cooker. It includes four cooking functions just in one pack. 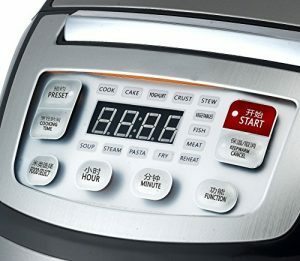 The ten different computerized menu is integrated to serve you different types of rice just from one convenient cooker. The cooking pan is just 1.5 millimeter. This is spherical in shape. This two makes the cooking process quick and saves the electricity. The inner lid is easily removable and the steam cap is easily cleanable. The Teflon surface protector in the cooking pot made this non-sticky and easier the cleaning process. Comes with as low cooking mode for the special dishes. Normal rice cooking process is twice faster than ordinary cookers. 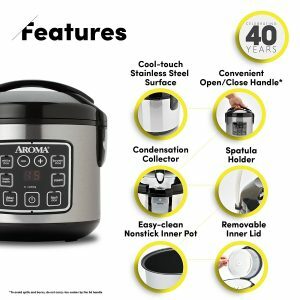 Ten different cooking mode and four functions. The power chord is not retractable. Although this cooker has some handicap but comparing to the advantages they are negligible. Love multi-functionality in your cooker; then for more info click here. 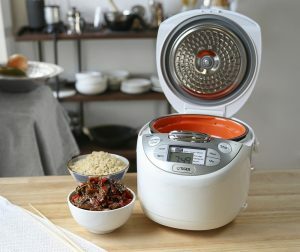 HirboEb-fc57 is the electronic rice cooker that comes with more cooking functionality than any other cookers by this time.3D heating technology has made this cooker unique from others. Let’s see its other functionalities. Hirbo Eb-fc57 comes with a large capacity of 5 liters. Therefore, this is a perfect cooker for up to 8 people. Allows you to cook 13 different types dishes of cooked rice and other dishes such as Pasta, Fry, Soup, Meat, Fish etc. Furthermore, you can use this as a rice crustier, re-heater. The rice cooking pot is super thin. As a result, this is more thermally conductive and saves energy. The spherical shape uniformly transfers the heat more efficiently to the rice. Hence you will get equally cooked rice. It uses 3D heating with Fuzzy Logics. This logics controls Dynamic and variable heating. With the help of this technology, you can cook different types of rice just in one cooker. Easy to use control panel comes with a different language for the ease of understanding. In addition, this also contains pre and auto timer for better cooking. Pre-set functionality for better cooking. A Large volume of cooking capacity. 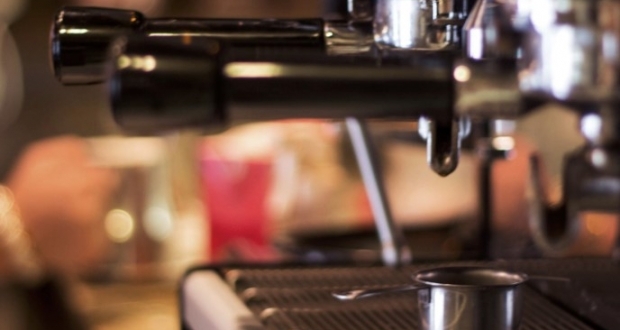 Can hold optimum temperature till serving. Energy saver and quick cooker. The Teflon protector isn’t well enough to be non-sticky. The LED indicator is not much durable. In conclusion, this fact is clear that this cooker is one of the best cookers within this price range. Although it has some cons, but still better than the other ordinary cookers. For further experience, you can visit this link. When you are looking for quality and durability rather than the outer design than Aroma Housewares ARC-914SBD can be the right choice for you. Aroma Housewares is renowned for manufacturing quality home products for years. This one is not a different. Comes with a great serving of up to 8 cups cooked rice from 4 cups of uncooked raw rice. Therefore, this will be a great option for families having four to five members. Comes with improved and easy functionality hence this is more user-friendly. This is a multipurpose cooker and can be used for steam, white rice, and brown rice. This cooker has a delay time of up to 15 hours. Consequently, the automatic keep-warm technology keeps the rice fresh for a long time before serving. The most important accessories are included with this cooker for better performance. You will get as team tray, measuring cup, spatula as well as some coupons of Mahtma and Carolina Rice recipes. To make the cleaning process easier and more efficient the inner pot is easily removable. Furthermore, the other accessories are also easily removable for full cleaning. 15 hours of delay time. Slow cooking process for better rice. Can be used as a steamer and a warmer. The connecting wire loses if not used carefully. Although the design isn’t much attractive but if you are looking quality over design then nothing can be better than this one. You can get more information about this product here. The very first thing about this cooker that impresses me most is its appealing design. Not only the design but the user-friendly functionality made it one of the best Japanese rice cooker. Let’s see why this is on the hot list. Yields 6 cups of cooked rice just from three cup of raw rice. All you need to do just put the raw rice and water and turn the switch on. 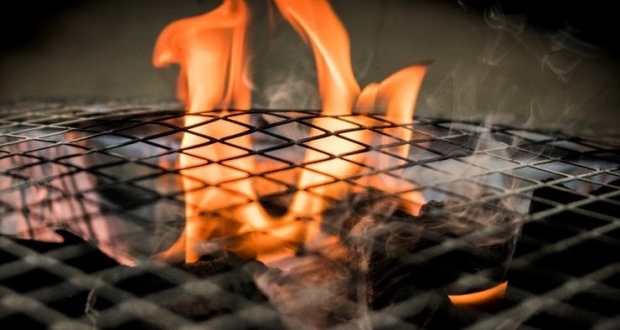 The cooker will get the rest of work done by itself with the help of auto shut down feature. Panasonic used a glass lid fit easy viewing the cooking process. This is great for cooking the rice as you need. The inner cooking pot is made with aluminum for better thermal conductivity. This cooker consumes 310 watts of electric energy in each hour of the cooking process. One thing you should know about this cooker is that this cooker isn’t for cooking brown rice. It allows you to cook only clean washed white rice. So be aware of this issue. For better use, some of the necessary accessories are included with this cooker such as measuring pot and serving spatula. You should only use these accessories with this cooker in order to get excellent quality rice. Non-sticky Teflon coating damages after some years of use. This is one of the basic rice cookers. But the only reason behind its survival in modern time is its quality. If you love basic design and durable and convenient design then this can be the best choice for you. So if you love this; then for further information visit this link. Cooking rice is just like an art for Japanese. They want to cook rice following the best possible methods they have. Actually, they are very sensitive about how to prepare Japanese rice for cooking. Are you interested to be a master of cooking these kinds of rice perfectly? Of course, you also can do it. It should be fluffy and light in texture as well as a bit of sticky too. Now the question is how will you do that? To assist you widely in these criteria, I am here with this consistent article where I will give you the best instructions to follow. Let’s begin the procedure from the first. And please stay with me till the end by reading it. The procedure is not too easy to follow. But in my opinion, nothing is so hard if you made your mind to do it. So, let’s have a look at the recipes i am going to share with you. A cup of uncooked Japanese short grain. Necessary utensils such as pot, saucepan, spoon etc. This step might be bothersome for you. But this is very important to produce perfectly cooked Japanese rice. Take your measured rice in a large container such as saucepan or a bowl. Then take enough amount of water to wash. In this stage, using your fingers to stir it will be the best option for you. Clean it gently in a circular motion. Wash it and discard the cloudy water. Repeat this process till you are not getting it clear. When you are draining it, make sure you are using a fine mesh. Once the washing is done properly, take it to a pot or saucepan to boil with water. The water and the rice ratio should be 1.1:1 or 1.2:1. This is the best one for Japanese rice. Hence, you can use a stove or pressure cooker for it.Then you should soak it for half an hour. Mostly it depends on the properties of the rice. If you find it older, you need to soak it for the extended period of time. The process of soaking should be between 30 minutes to 50 minutes. Never do it for long time otherwise it can lose the genuine flavor. When you prefer to use an electric cooker, just turn on the switch. You can set the time if you want it later to serve. If you intend to use a pot, pass medium heat and cover it with a lid. Initially, you can cook with high temperature for a minute. Then lower the heat in medium flame for 4-5 minutes. Wait to view the surface of the boiled rice. Afterwards, you should reduce the heat in lower heat for about 10 minutes. Meanwhile, the water should be fully absorbed. Once, you will find it finished the steaming, add some Japanese rice paddle with it. Also, you can mix a shamoji. To enlarge the flavor, you can use Japanese pickles, furikake or sauce in it. Are you done with the cooking of Japanese rice? Okay, then you have to approach a few more steps to go. Sushi is actually a great combination of dashi, salt and required vinegar. A wooden bowl is probably the best choice for it. This is called hangiri. Are you confused about where to get it from? No worries at all. This object is available at any Japanese kitchen store. Furthermore, to make the best solution, Amazon is there for you to assist. The wooden hangiri is useful because it absorbs extra moisture from your prepared rice smartly. A solid paddle is also necessary tool for you to use. To make it ready, you require a Sushi vinegar and bowl. Again, you must mix them with the cooked rice. To keep it with the perfect flavor, you should use 80ml of vinegar in it. Take ¼ cup of it and moisten the paddle with it. Then place the hot rice in the wooden bowl and pour the vinegar in it. Next, you should turn it and mix properly. Make sure you are not squishing the grains in any way while mixing. Also, you should fan it to make it cool. To make it look like glossy and fluffy, you should do it quickly. Meanwhile, it should absorb the vinegar thoroughly. Keep a thing in mind and that is Sushi should be warm before serving. At least, it should maintain room temperature. While you are preparing it at home, try to avoid freezing it. Warm rice is the highest preference to enjoy the fullest. If you keep it in mind, you can have well-prepared Japanese rice with fine texture and flavor. Again, you must have concern about the moisturizer as well. If you can hold the moisturizer, it will help you prevent it from hardening. Finally, you might have made up your mind in completing the task. With this article, you learn how to prepare Japanese Rice for Cooking. Actually, they are very expert at cooking rice with perfection and maintain their quality as much as possible. Majority of concern is to gather necessary ingredients to cook it nicely. If you research a bit in online, you can buy them from Amazon or other prominent company. Again, you can make some of the ingredients in home such as Sushi vinegar. Hopefully, this recipe and instructions will help you a lot to know and prepare this food item. Enjoy your meal with excellent flavor. We have talked a lot about Japanese rice cooker. The five cookers that I have mentioned above are the best Japanese rice cookers that I have found after conduction a deep research. Yes, it’s true that all of them have some handicap. But I think you will agree with me I this issue that nothing is perfect in this world. Again considering the pros we can easily neglect the cons of them. In conclusion, I suggest you get any of this according to your need without any hesitation. I’m pretty much sure that you will not depressed. Again, thank you for reading this long article. In conclusion, I suggest you get any of this according to your need without any hesitation. I’m pretty much sure that you will not depressed. Again, thank you for reading this long article.